INCLUDES: JVC GY-HM100U Camcorder BSTOCK, Anton Bauer ELIPZ10K Battery, Anton Bauer ELIPZCHARGER, Anton Bauer ELEDZ LED Light, Libec TH-650DV Tripod, and Kata KT-CC-192 case. Anton Bauer EledZ 4.5W On-Camera LED Light. The EledZ is designed for use with the ElipZ 10K battery system. 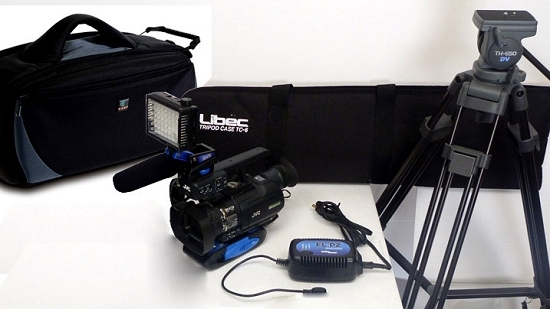 A typical handheld camera, along with the EledZ, can be powered for up to 5 hours simultaneously, with this low power light. A multilateral arm allows you to position the light in virtually any position. Height: 70 to 150cm / 27.5 to 59"